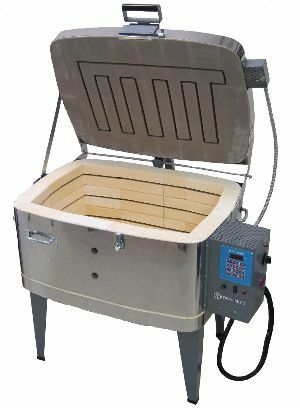 Finally, affordable kilns that are large enough for all of your Fusing & Slumping needs! 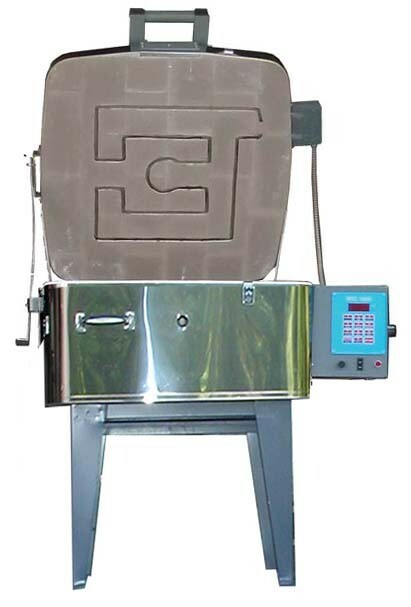 Glass kilns are used for fusing and forming of glass shapes. 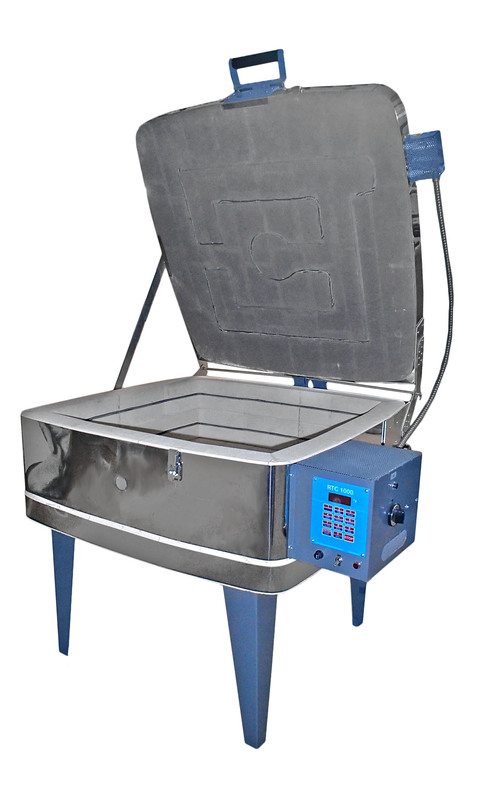 Olympic's glass fusing kilns have both lid and body elements. 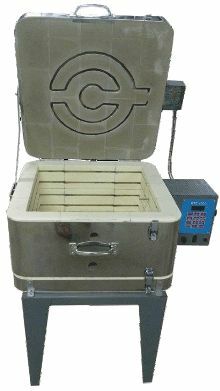 Elements in the firing chamber are used to evenly heat the glass piece and the lid element is used when fusing temperature is reached. Glass fusing kilns have a maximum temperature range of 1700° F and generally are not as deep as pottery kilns because most glasswork is done on one layer of shelving. 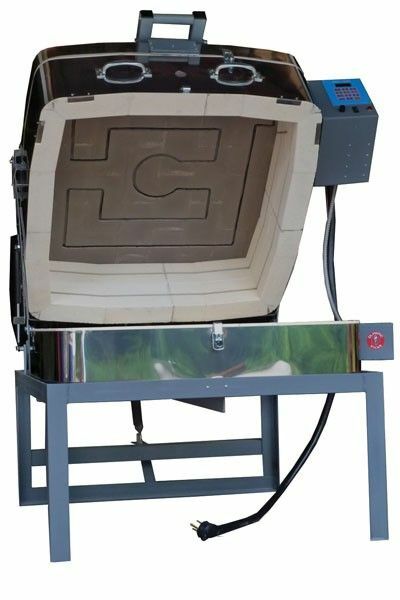 Any pottery or ceramic kiln can be built with a lid element for glass fusing and provide multiple applications for the kiln operator. 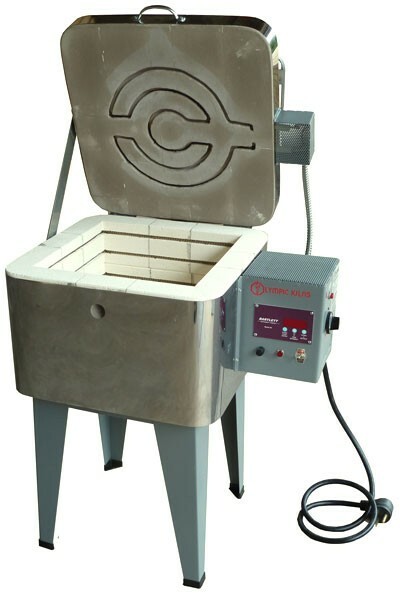 The frontloading design is ideal for bead annealing or lampworking. 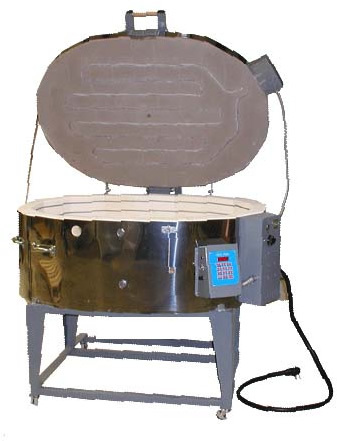 Glass kiln models 23" or larger are equipped with a lid lift assist for easy opening and closing of the kiln lid. Olympic glass kilns are built for extreme energy efficiency. 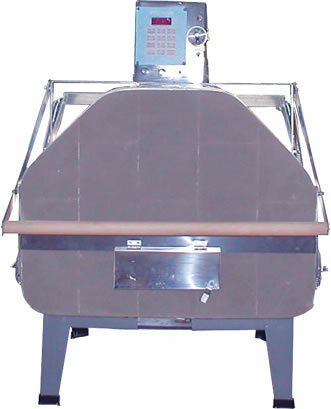 An Olympic kiln allows you to achieve the desire results without the high energy consumption.